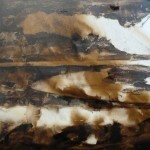 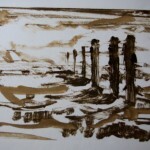 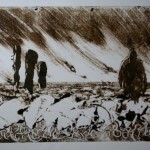 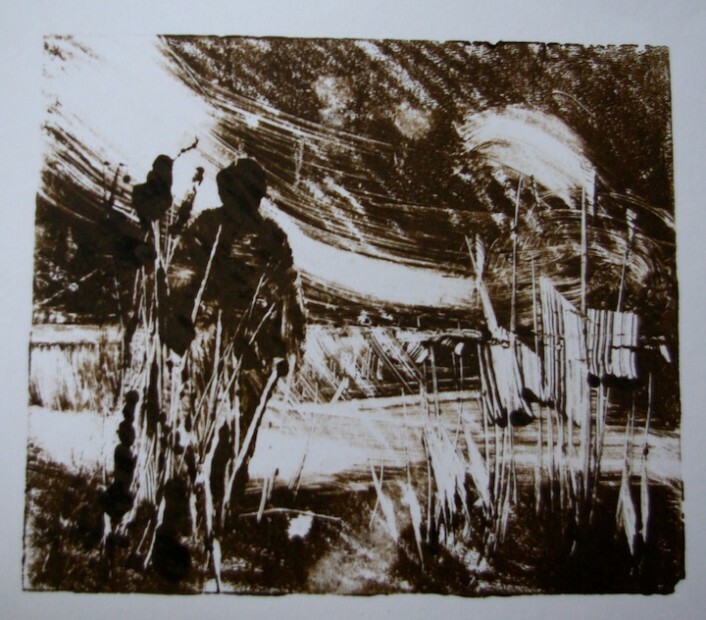 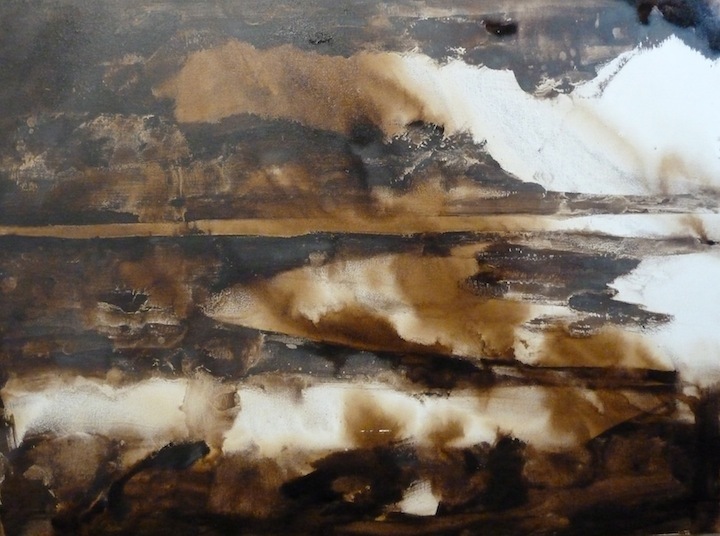 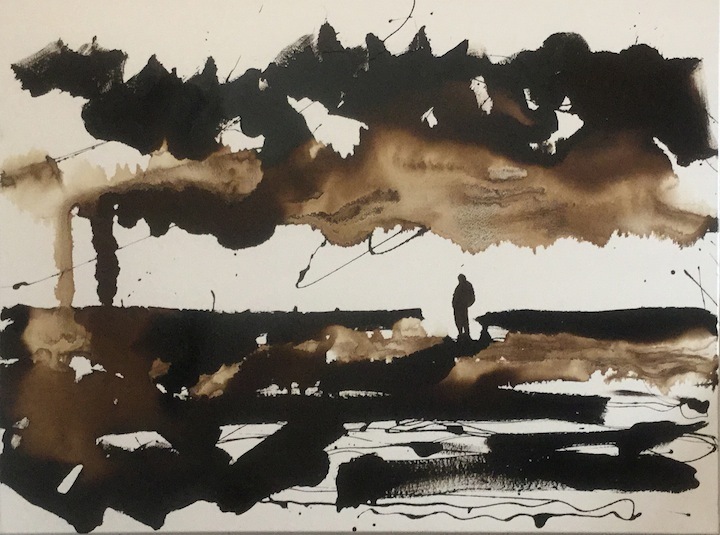 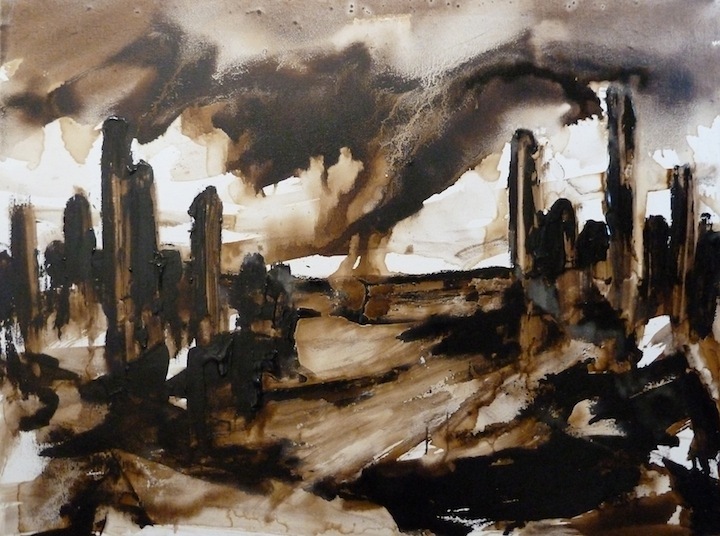 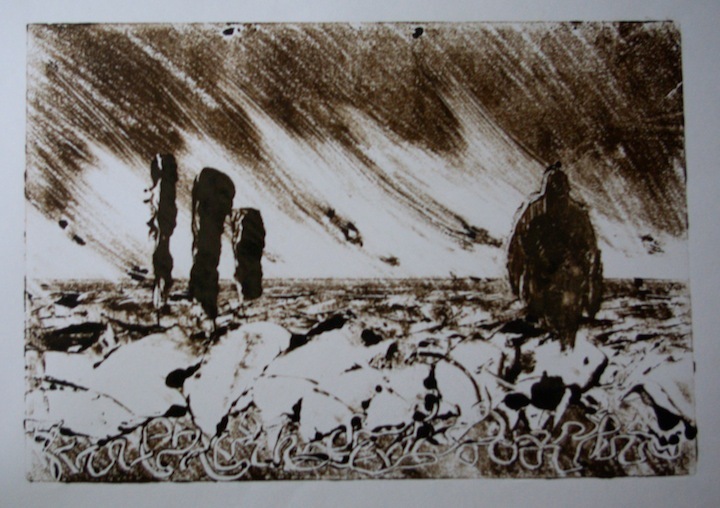 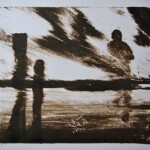 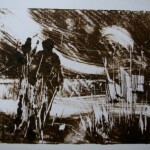 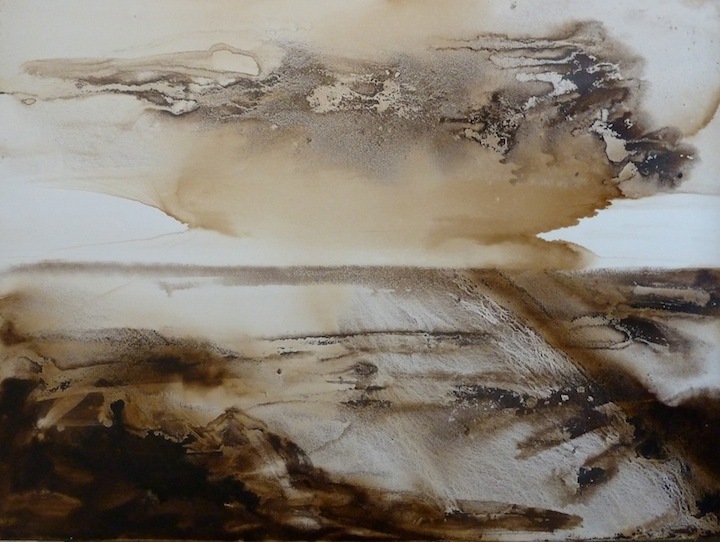 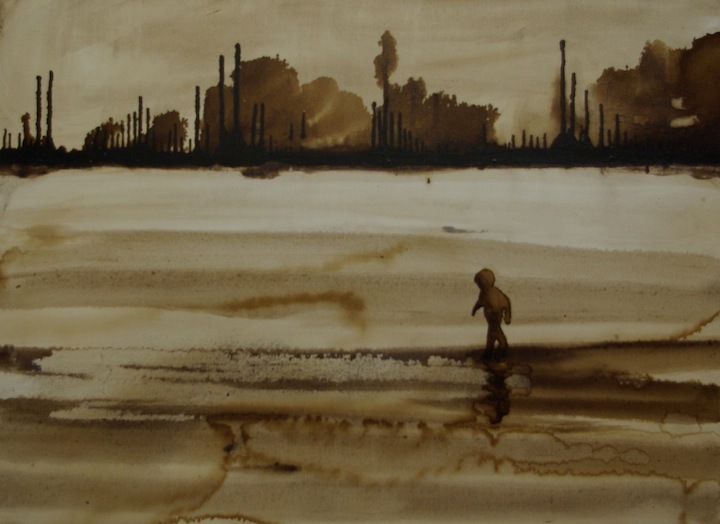 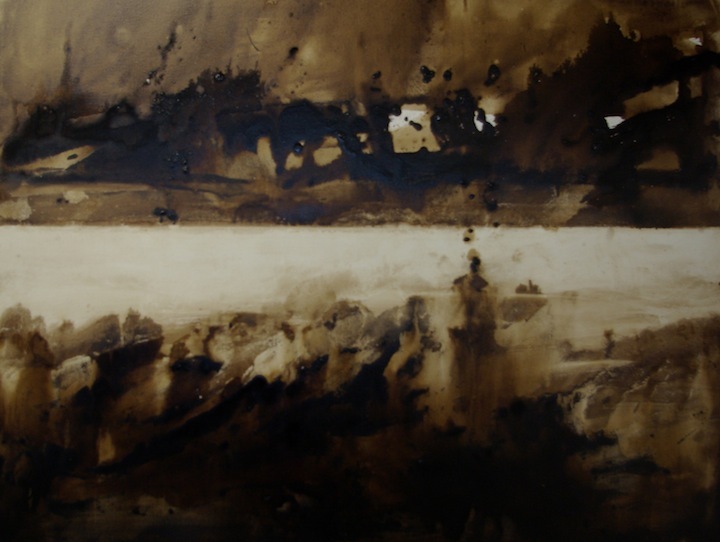 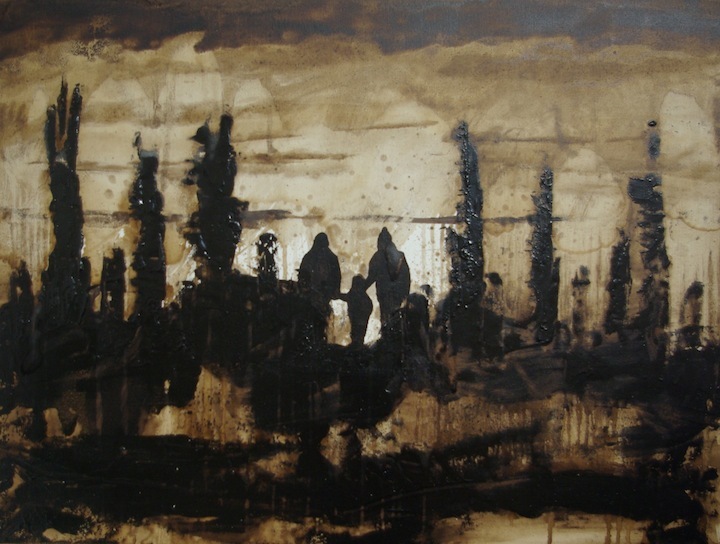 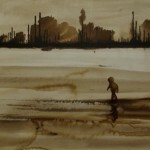 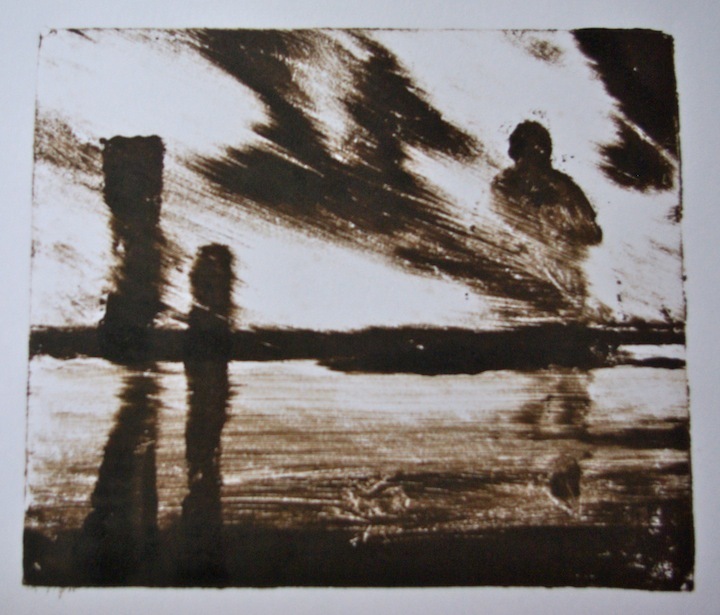 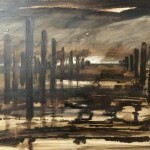 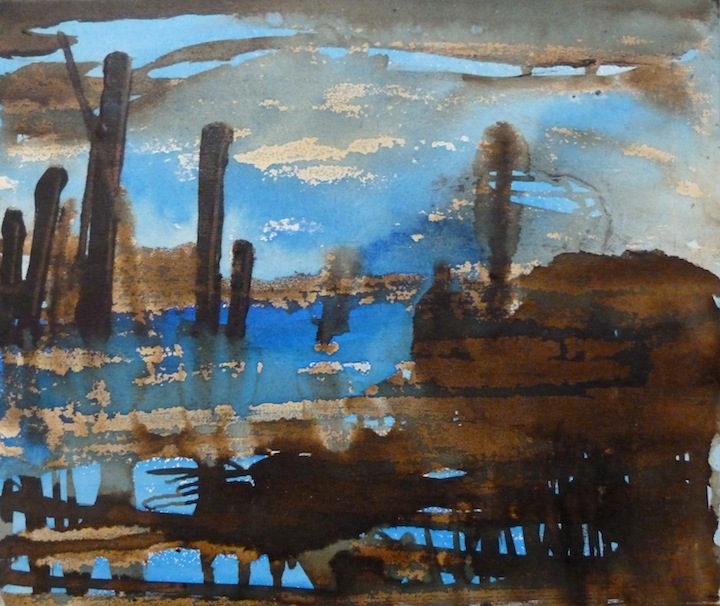 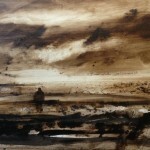 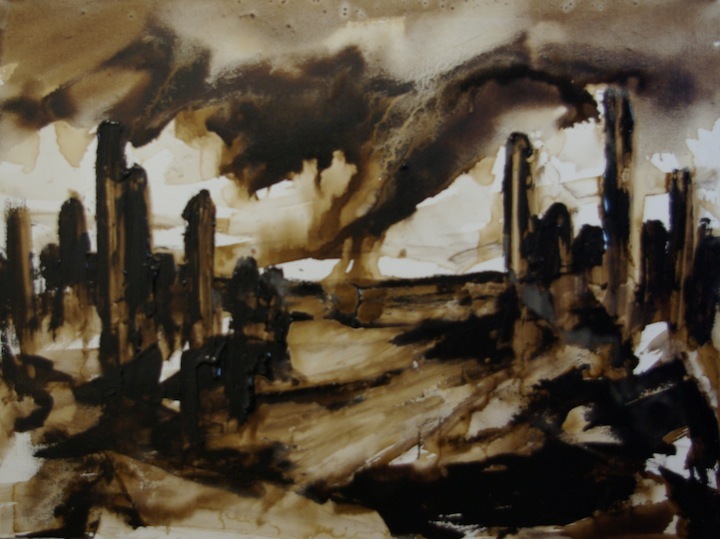 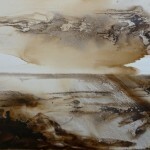 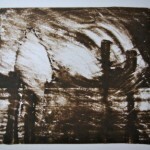 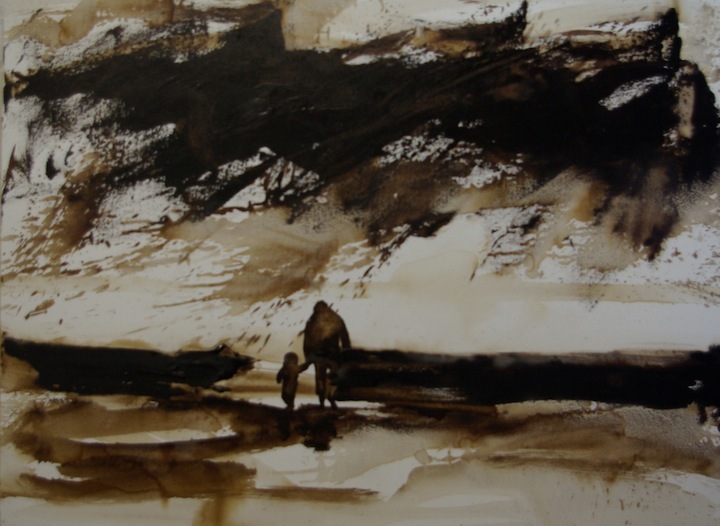 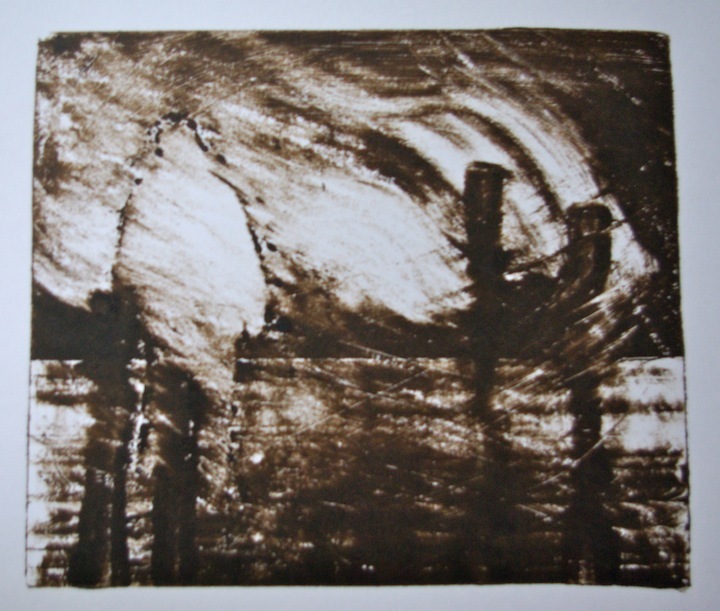 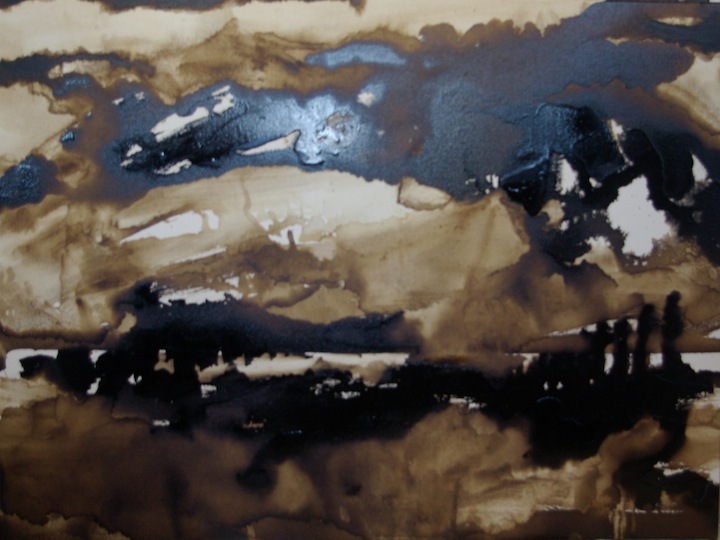 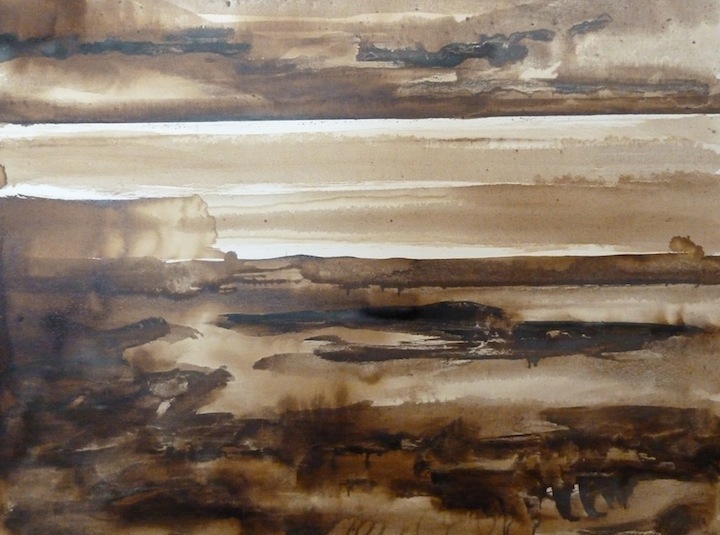 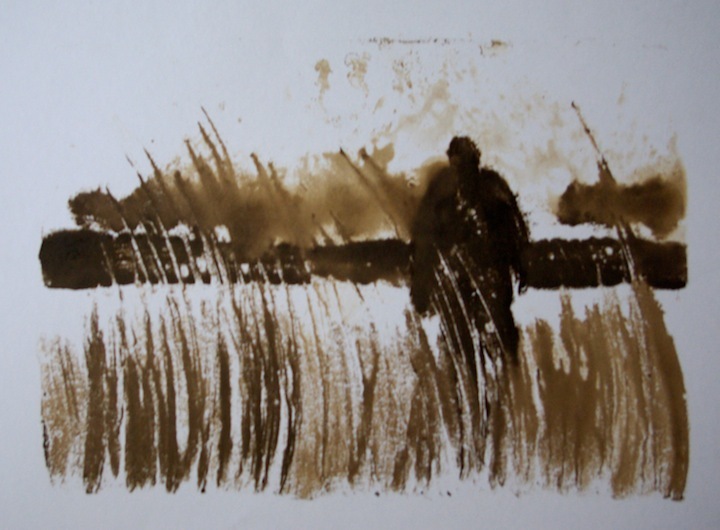 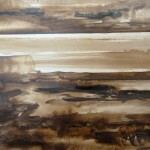 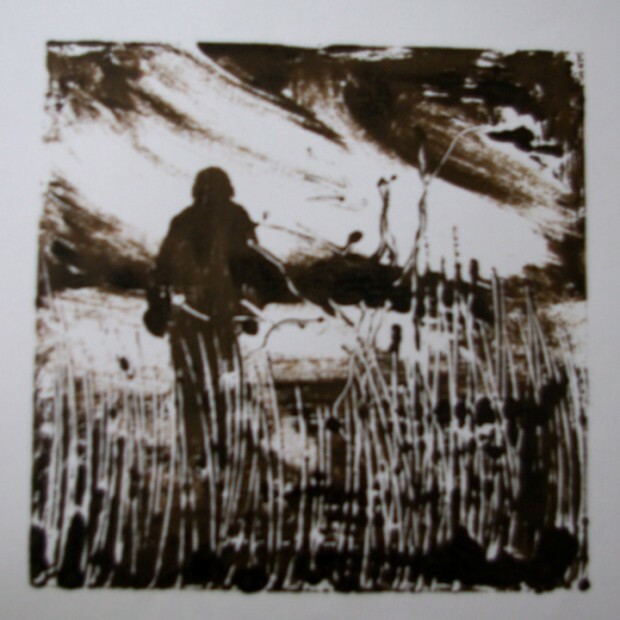 The artworks are created using Tar collected from the beach at Spurn Point, East Yorkshire, England. 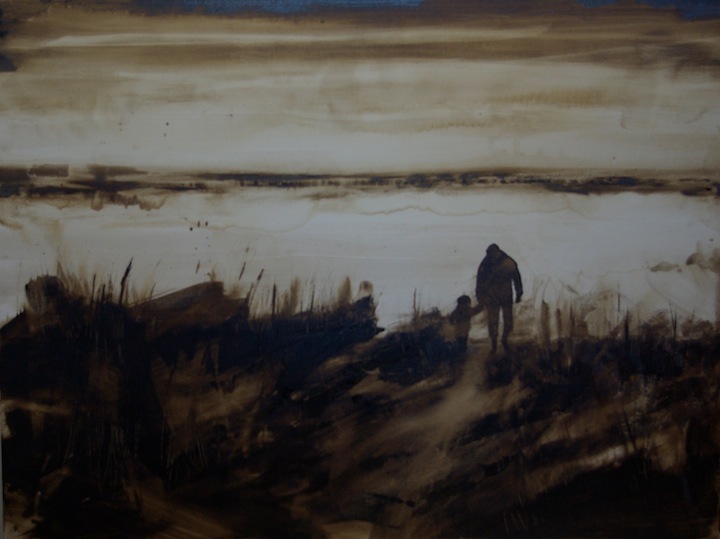 This part of the East Riding of Yorkshire coastline is an ever changing and fast disappearing spit of land. 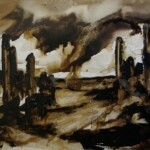 Due to the unstable nature of the medium I cannot judge what will happen to the image in the future. 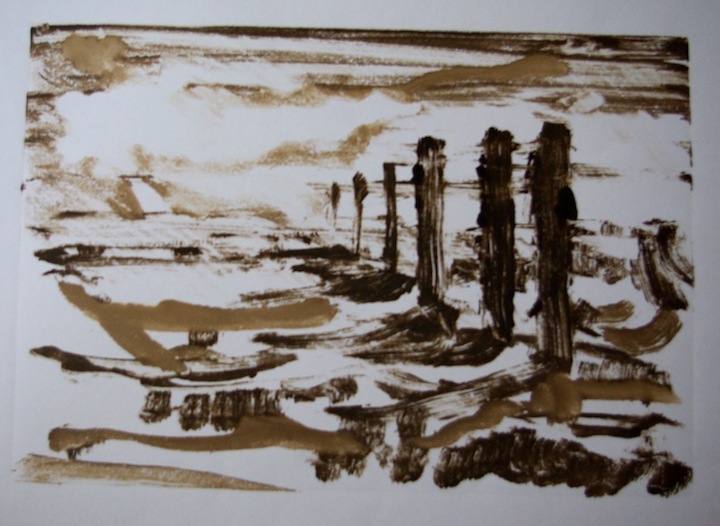 Part of the concept of using tar washed up on the beach at Spurn Point is to echo the idea of nature’s constant flux, the disappearance and renewal of the landscape at Spurn. 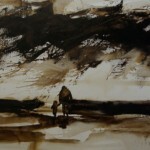 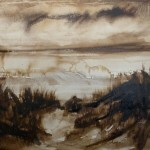 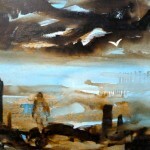 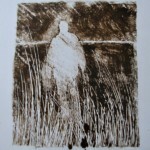 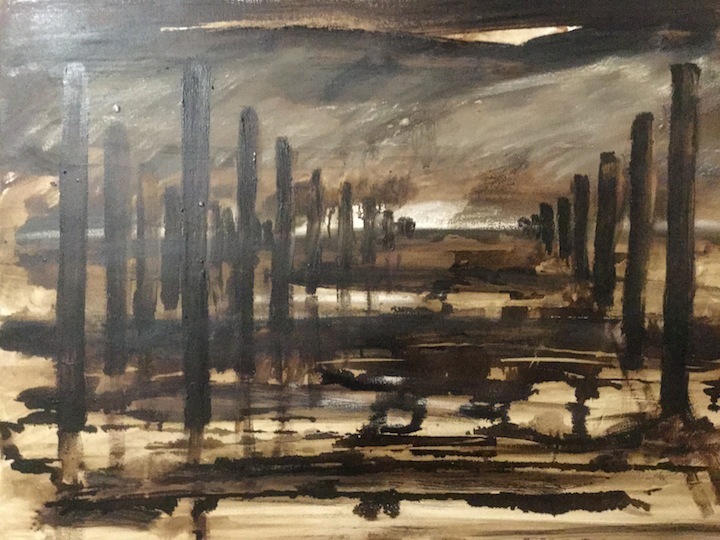 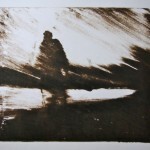 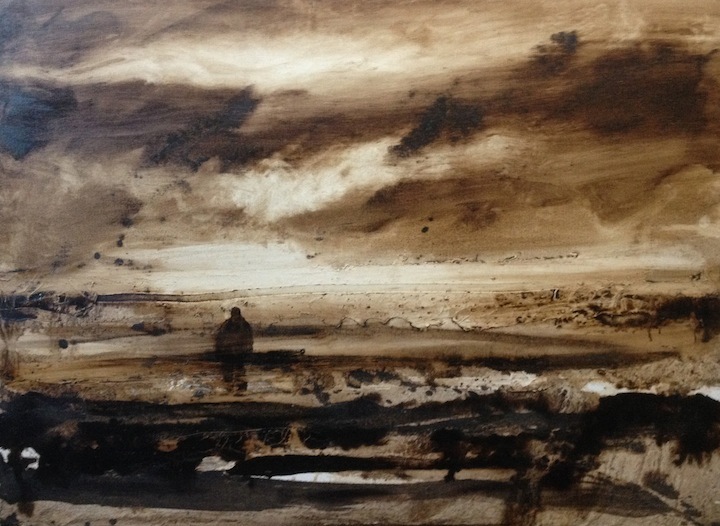 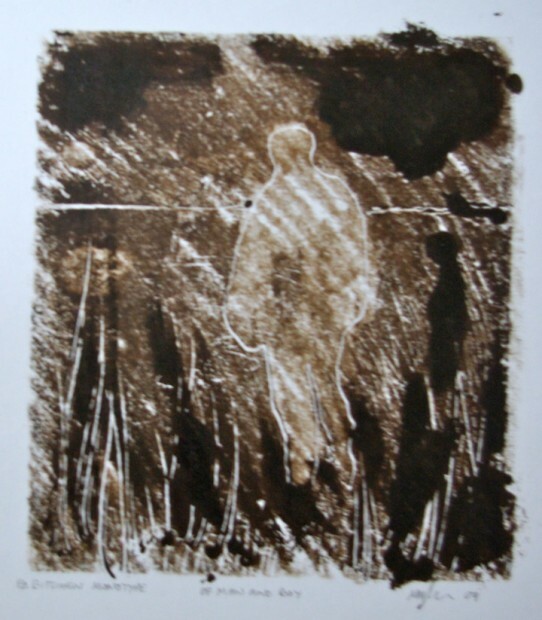 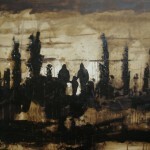 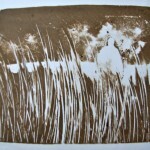 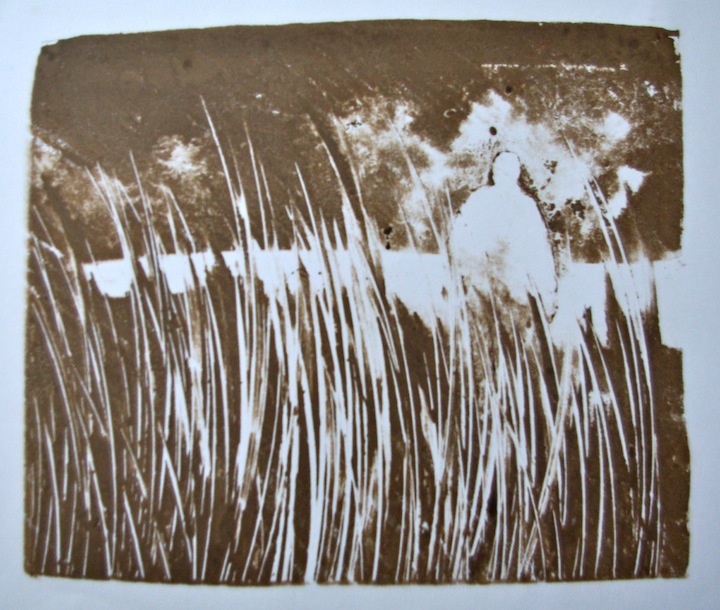 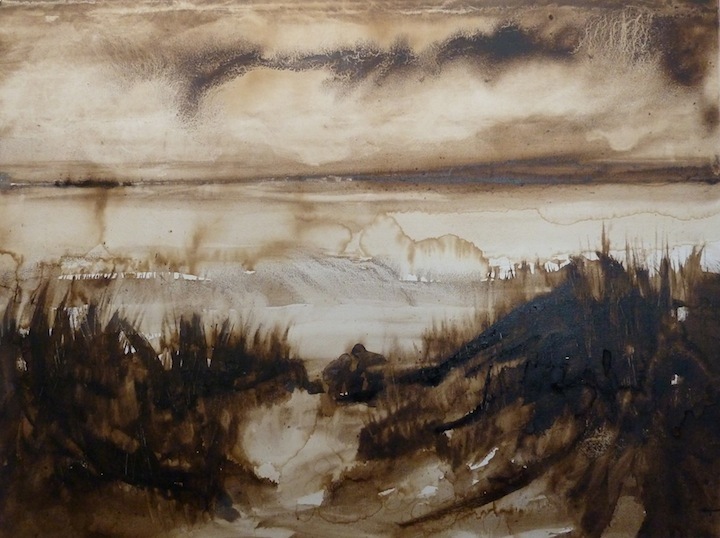 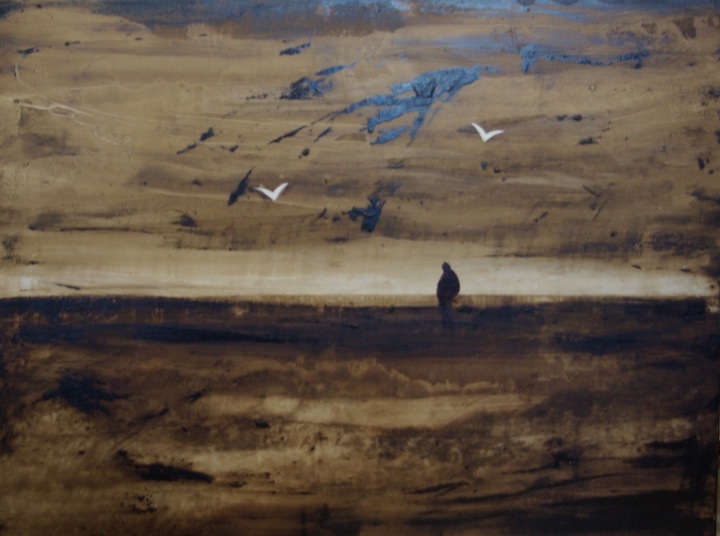 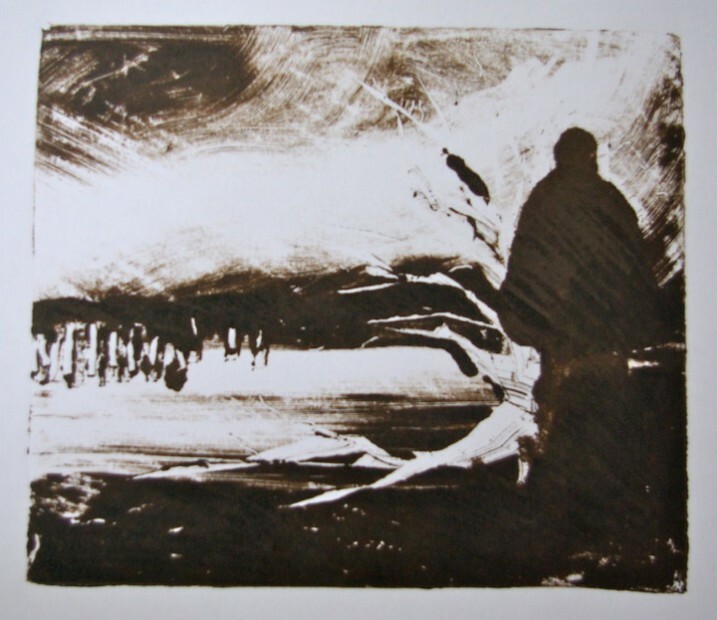 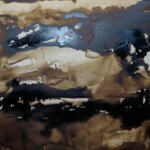 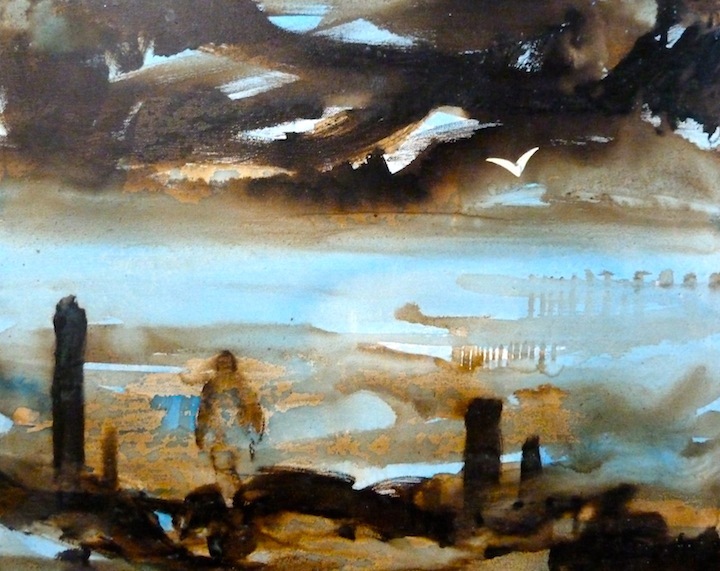 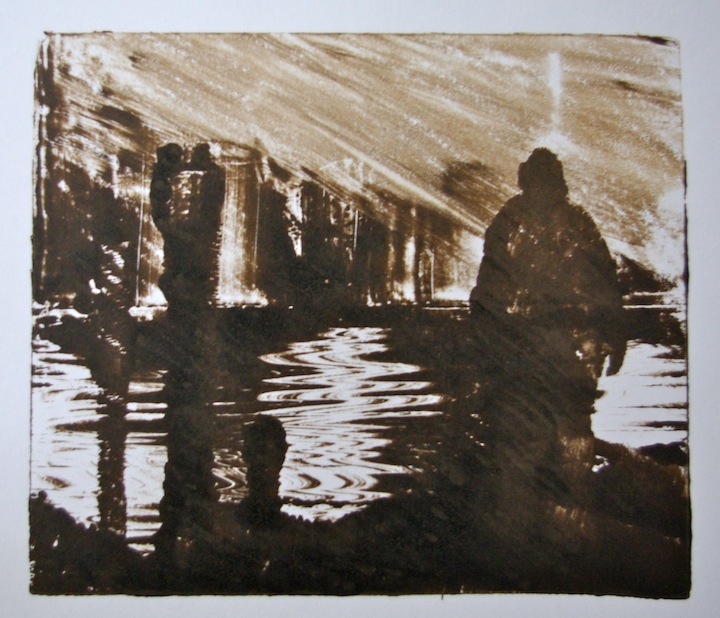 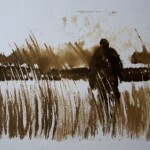 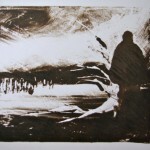 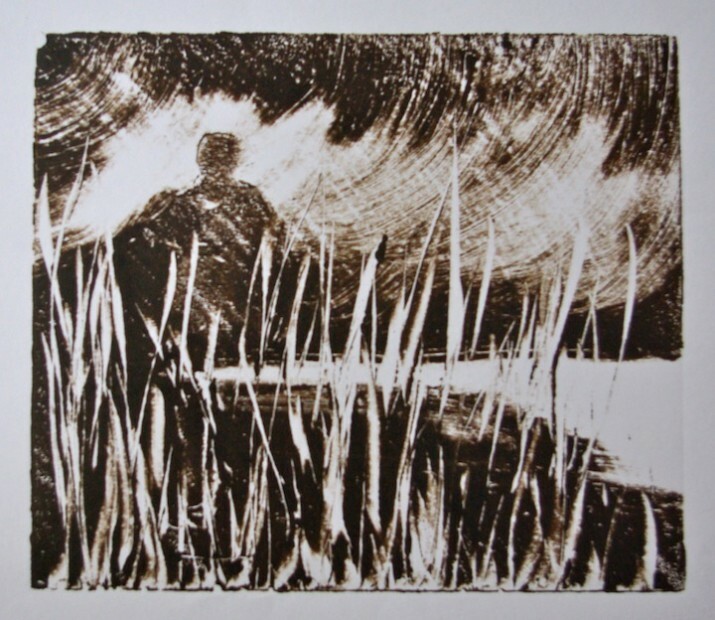 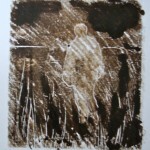 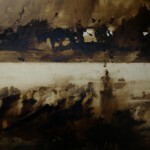 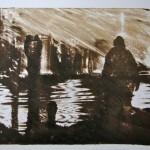 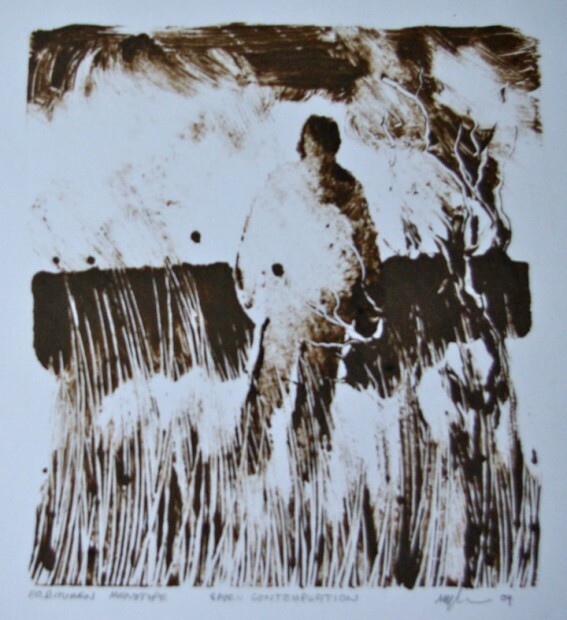 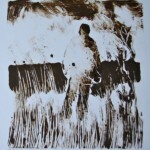 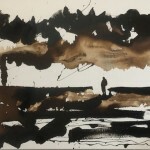 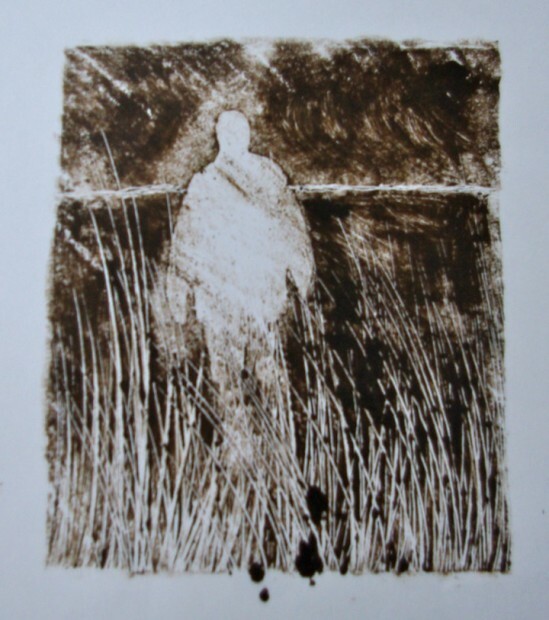 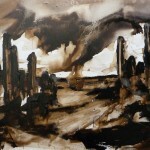 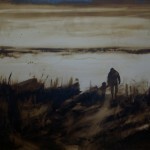 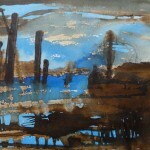 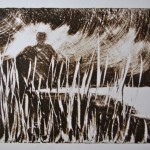 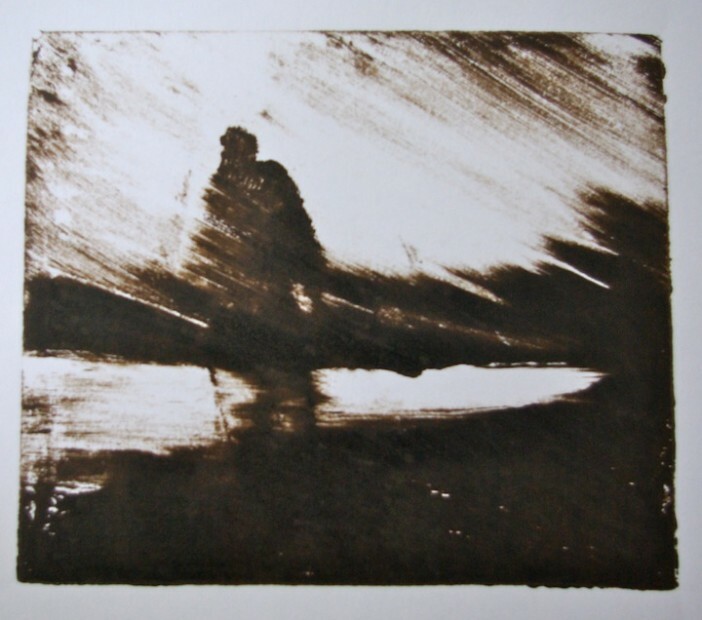 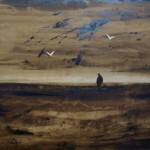 My work is part of a personal journey which includes real and remembered visits to that landscape.